We Fish the Beautiful Waters of Southwest Florida Including But Not Limited to… Sanibel Island, Captiva Island, Useppa Island, Cayo Costa, Boca Grande, Cape Coral, Pine Island Sound, Matlacha Pass, The Caloosahatchee River, Fort Myers, St. James City, Fort Myers Beach, Punta Rassa, San Carlos Bay, The Nearshore Gulf, and more! The Gulf of Mexico is the best office one could ever ask for! It offers something for everyone. We are prepared with the experience and knowledge to guide you whether you are looking to run offshore, to secluded beaches, or to the skinniest backwaters of Southwest Florida! We have 2 boats both specifically designed for the tasks at hand! The first is a Custom 24ft Proline Center Console that has an open layout making it safe, stable and secure. 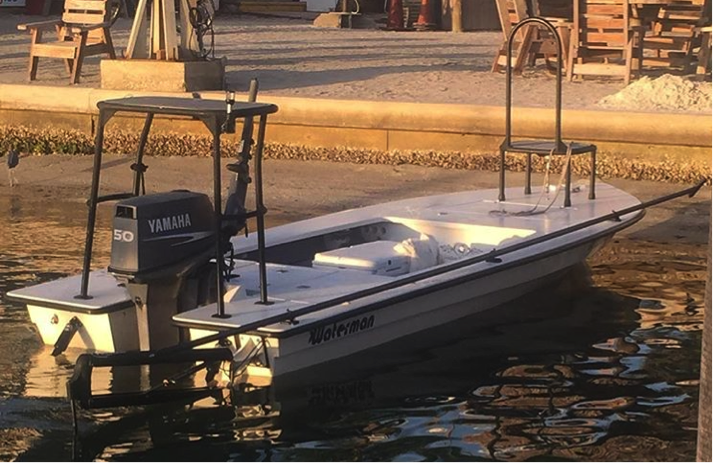 The boat features a 200 Hp Mercury Verado Outboard, a live well large enough to hold bait for days and plenty of cooler space to hold food, drinks and snacks for your day on the water! This boat is extremely dry and was specifically built for fishing the waters of Pine Island Sound and the nearby waters of the Gulf. It will fish up to 6 people and is a great boat for inshore, offshore and all over the sound. The second boat is dedicated to fly fishing and “getting skinny”! The Hell’s Bay Waterman is a fly fishing machine. It runs in mere inches of water and is specifically designed to be polled quietly into skinny water for big fish. The waterman is set up specifically for fly fishing. The boat has a large front casting platform with a back rest and wide open deck space to remove any obstacles that could hold you back from making that perfect cast! This is a purpose-built boat. Please request the boat at scheduling – availability is limited to weather and trip objectives. The beautiful clear waters of SWFL are nothing short of World Class. They offer amazing beaches, outstanding shelling, wonderful, tucked away restaurants and, of course, some of the best fishing in world! No matter the season, there is always something that is happy to tug on the other side of your line. Whether it is Redfish and Snook along the mangroves, Tarpon along the beaches, or any one of dozens of other game fish, we’ve got you covered. SWFL is host to a wide array of fish that will make you and your party smile. Barracuda Ladyfish & many more! All species are dependent upon season and water temperatures and conditions. However, there is ALWAYS something out there just waiting! One of the unique aspects of fishing Southwest, FL is you don’t have to run very far to find the fish. (Being located in the heart of Captiva helps this out considerably!) With endless miles of pristine backwaters, bays, rivers, canals, creeks, and the entire Gulf of Mexico just outside the inlets, Sanibel & Captiva truly are one of the world’s great fishing destinations. We never run out of options here! There are few things as heart warming as watching the looks of amazement on a child’s face as they experience the wonders of an action packed day on the water. As a father myself, I understand that fishing with children and families takes a unique combination of patience, fun, and the ability to keep kids on the fish. The number one priority on these trips is to make sure that everyone is having a good time. Children of all ages love catching fish, but the key to a successful day on the water is keeping them interested and comfortable. 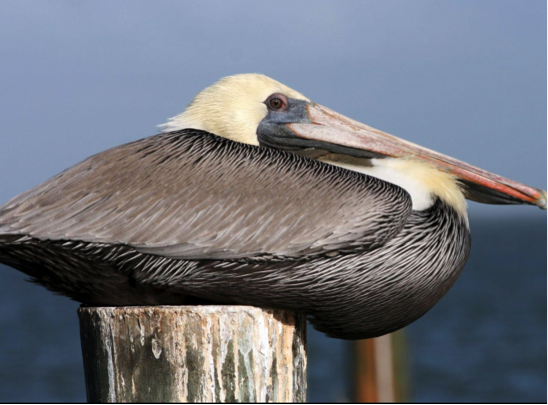 Sometimes that means stopping to look for sea shells or checking out the abundant Dolphins and Manatees and other wildlife that frequent our area. It’s all about having a good time and keeping it interesting! Even when the fishing is spectacular, sometimes youngsters need a break to play with the shrimp in a bucket, or have a snack. I provide a fun and light-hearted environment in which you can enjoy the natural wonders and bountiful fishing opportunities with the people that you love most. Just because I specialize in family trips, don’t take that to mean I’m not serious about catching fish. We can take an easy-going trip with the family for trout in the morning and then take Dad out for some high intensity drag screaming Tarpon or Snook fishing later that day. Let me know what your idea of a perfect day on the water is and I will do my best to put together a trip that you and your family will remember for a lifetime! We do more than just fish. Sometimes we combine many of the fun opportunities the area has to offer into a full day for everyone! Shelling Trips – If you think Sanibel & Captiva are great for shelling, the remote beaches of Cayo Costa offer miles of untouched Gulf front beaches ripe for the picking! Sand Dollars, Whelks, Lions paws, Conchs , Junonia, Cockles, Olives, Coquinas and more await you without the masses of people! Dolphin & Sightseeing Tours – Captain Shawn will be glad to take you on a sightseeing tour that will give you a perspective of the islands you won’t soon forget. Sanibel & Captiva are spectacular when viewed from the boat! An entirely new perspective for the beauty and serenity of the islands awaits you. See dolphins jumping behind the boat, sea turtles, otters and even manatees! Family Photo Shoots with a professional photographer – Captain Shawn just happens to be married to a professional photographer (many of the photos on this site are her work!). Captain Shawn and Lori will take you and your group to some of the most remote and beautiful locations in Southwest Florida for a photo shoot to capture moments you will remember for lifetime. Please call well in advance for these trips as scheduling can be a challenge. You can view some of Lori’s photography work at www.lorikellysphotography.com. 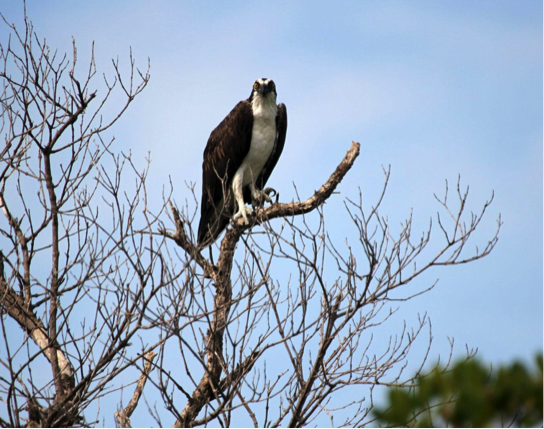 Bird Watching - Sanibel & Captiva and the surrounding islands have a wildly diverse ecosystem. The area is host to all types of birdlife and provide hours of fun seeking them out and snapping a photo or two to remember your experience. You’ll see everything from Bald Eagles, White & Brown Pelicans, to Roseate Spoonbills, Ibis, Great & Snowy Herons, Egrets and Osprey!